NEW! Our Digital Propeller Protractor is now available. 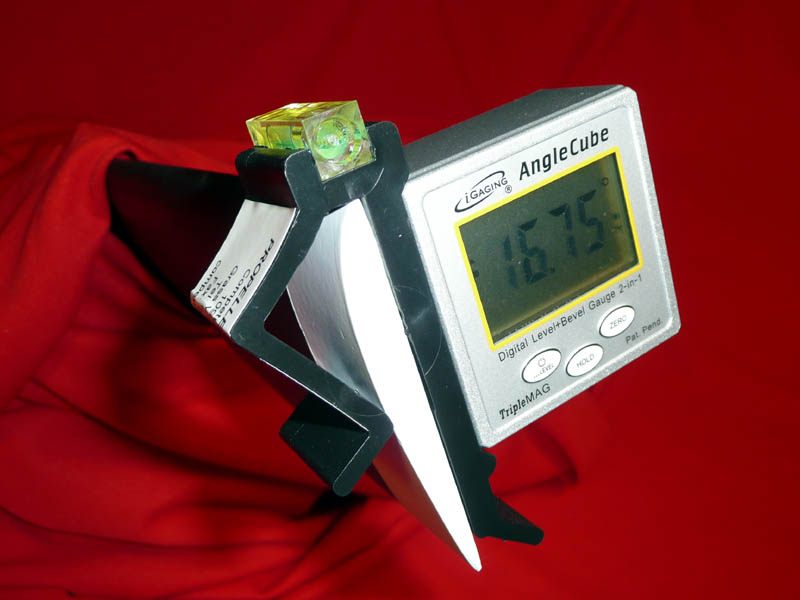 A low cost, accurate, and easy to use digital propeller protractor to check, set, or change propeller pitch. We are now shipping the Ultra-Prop II with a newly designed blade having optimum twist and fabricated with a new engineering thermoplastic resin with carbon fiber reinforcement. Small airboats are just plain lots of fun! The Ultra-Prop is a popular choice with bow fishing and Flounder enthusiasts. It’s also tough and impervious to water, and therefore ideal for this application. Competition Aircraft is the home of the Ultra-Prop I and II, high performance composite propellers designed for use on ultralight aircraft including ultralight trikes, gyrocopters, and powered parachutes. The Ultra-Prop is also compatible with airboats, hovercraft, and air-drives for Flounder gigging and bow fishing. The Ultra-Prop Propellers and propeller components we feature are manufactured for easy assembly and long life. Choose from 2, 3, 4, 5 and 6 blade propellers and select the ideal pitch and optimum diameter to suit your craft (up to 66" on 2, 3, and 4 blade propellers, 67" on 5-blade propellers, and 67 1/2" on 6-blade propellers). You will hear and feel the remarkable difference an Ultra-Prop makes on your first run-up. 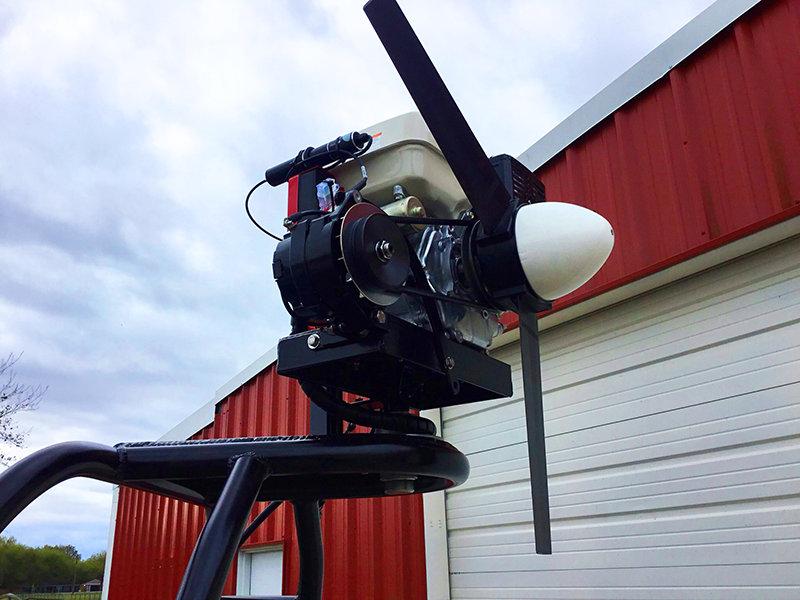 Lowest cost adjustable pitch prop in the world - 36 years in production — over 18,000 sold — satisfaction guaranteed! Unique pitch block system holds blades at exact angle — no protractor required. All Ultra-Prop blades are identical and interchangeable — featuring perfect balance and exceptionally smooth performance with tough, glass or carbon reinforced nylon or PPA thermoplastic making them ideal for water or rough field operation. Prices start at a low $300 for a 2-blade Ultra-Prop I standard kit. New spinner kit including mounting bracket and hardware for Ultra-Prop and Brolga tractor and pusher applications (not available for 5 and 6 blade propellers). 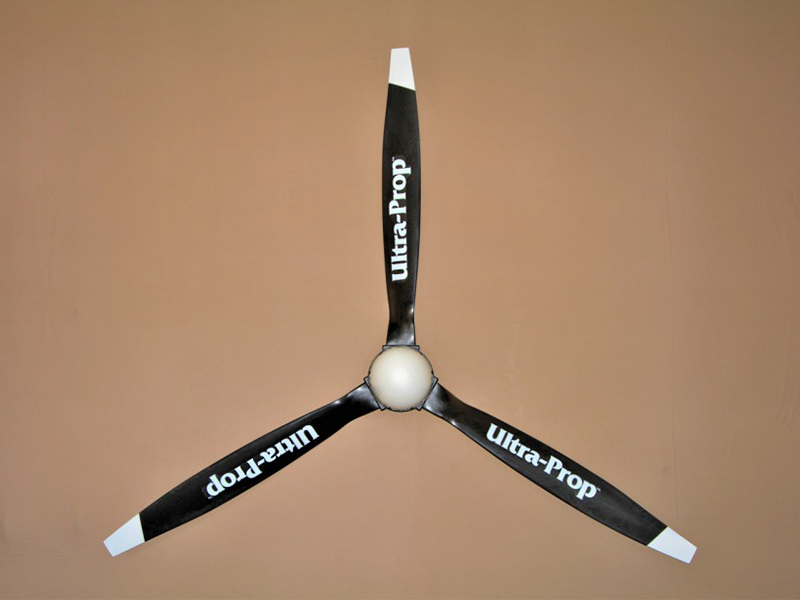 Check out our Propeller Recommendations for recommended Ultra-Prop combinations. Assembly Instructions: Download in PDF format.